Lock in a great price for Akama Resort – rated 9.1 by recent guests! Great accommodation and a perfect location to walk over to the marina and go whale watching. 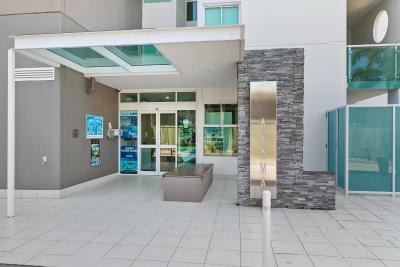 The location was really good and handy, onsite parking and a lift made getting our belongings to the apartment easy. The apartment was well equipped for a family with everything we needed. Amazing place to stay. Lady stayed back late cause we didn’t check in before closing. Will definitely stay here every trip to Hervey Bay. Huge apartment , clean and cool . 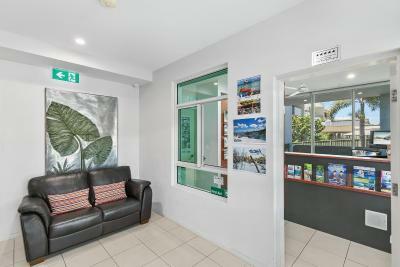 It was conveniently located to Boat Harbour with restaurant, tourist information and Club facilities . Akama Resort This rating is a reflection of how the property compares to the industry standard when it comes to price, facilities and services available. It's based on a self-evaluation by the property. Use this rating to help choose your stay! Akama Resort is a 5-star AAA rated resort with self-catering, spacious apartments that have a fully equipped kitchen and a laundry. 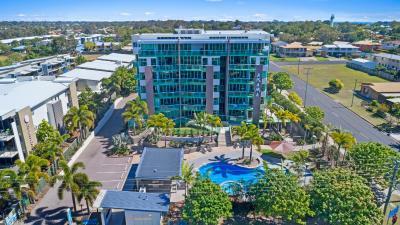 The property is ideally located near the Marina at Urangan, overlooking The Great Sandy Straits and Fraser Island. Akama Resorts has free parking, a heated pool and spa, BBQ area and free WiFi. 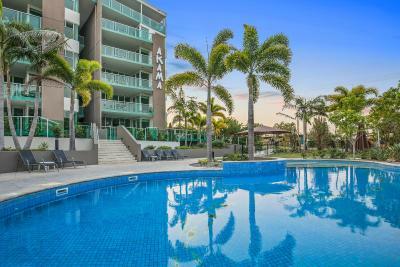 Akama Resort provides a variety of spacious, modern 1, 2, 3 bedroom-penthouses and apartments that offer panoramic views of the Marina and Fraser Island from private, sunny balconies. All apartments are accessible via an elevator. 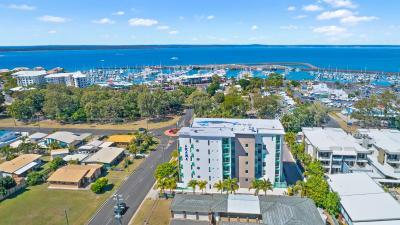 Nearby attractions include small local markets, an 11 mi long bike path along Charlton Esplanade, and cafés, pubs and clubs along Hervey Bay Marina. Guests can enjoy a 35-minute flight to the Lady Elliot Island, relax at Shelly Beach, or go sailing across the Great Sandy Strait while watching dolphins, dugongs, and turtles. 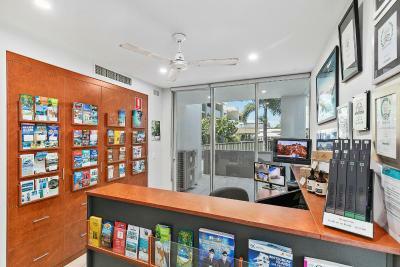 The property can book the Fraser Island, whale watching and Lady Elliot Island tours for you. When would you like to stay at Akama Resort? A self-contained, spacious apartment with a large balcony. It has a fully equipped kitchen, a private laundry and an open-plan dining and lounge area with 2 TVs. 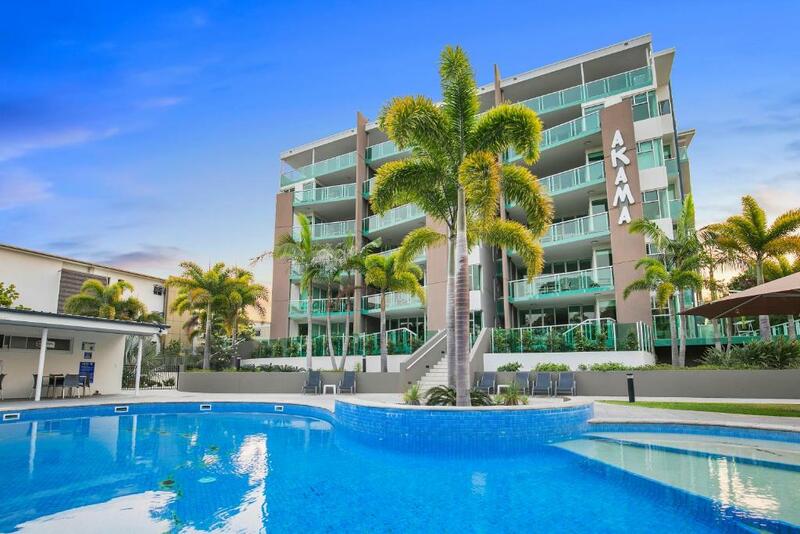 This spacious apartment features a balcony, overlooking the heated pool and spa. It has a fully equipped kitchen, a private laundry and an open-plan dining and lounge area with 2 TVs, a CD and DVD player. It has 2 bathrooms with an en suite off the master bedroom. 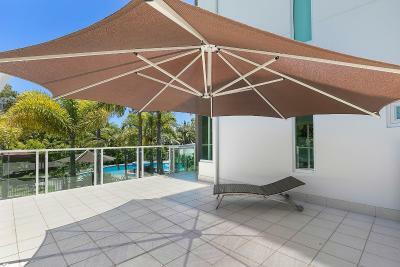 This air-conditioned, open-plan apartment features a large balcony with garden views. It has 2 bathrooms, a fully equipped kitchen and laundry. 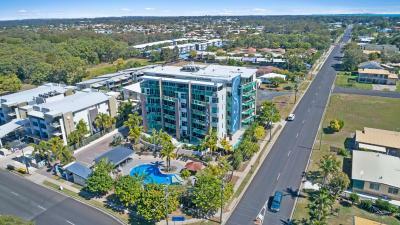 This spacious apartment features a spa bath and has a balcony offering views of Fraser Island and the Great Sandy Straits, as well as a BBQ and sun loungers. There is a well-equipped kitchen, laundry, 2 TVs and 2 bathrooms. This apartment features open-plan living and dining area, a 42-inch plasma TV, 26-inch LCD TV, and a balcony overlooking the heated pool and with partial views of the Great Sandy Straits. It has a fully equipped kitchen and laundry. This air-conditioned apartment features a 66-cm LCD, 106-cm plasma-screen TV, and a large private balcony with partial sea views through to the Great Sandy Straits. 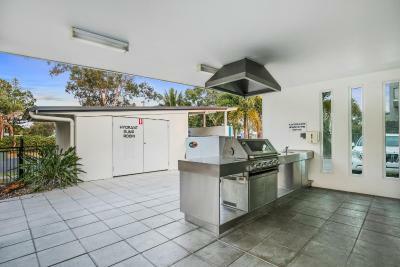 It has a fully equipped kitchen, laundry, dining and lounge area. 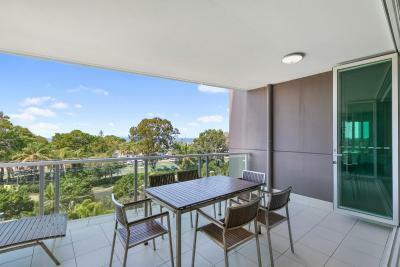 This air-conditioned apartment features ocean views from a large balcony, a 50-inch plasma TV and a private barbecue. 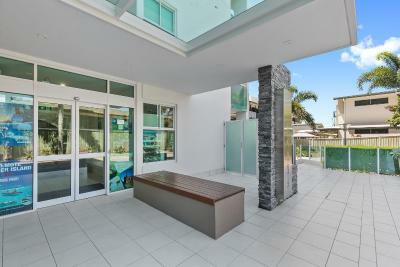 It has a fully equipped designer kitchen, coffee machine, private laundry, open-plan living and dining area. This apartment features a balcony, toaster and dishwasher. This apartment has a balcony, CD player and cable TV. 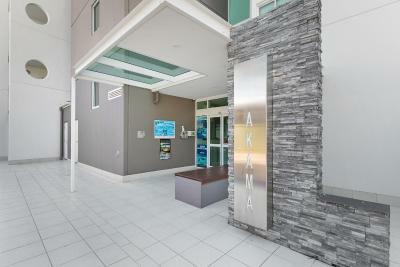 Akama Resort is a modern complex with spacious self catering apartments. Our style of accommodation lends itself perfectly to those guests wanting a 'home away from home' experience - Everything you need to make your stay comfortable and relaxing. House Rules Akama Resort takes special requests – add in the next step! All children under 2 years are charged AUD 25 per person per night in a crib. All older children or adults are charged AUD 35 per person per night for extra beds. Akama Resort accepts these cards and reserves the right to temporarily hold an amount prior to arrival. Please note that Akama Resort has a strict 'No Party Policy'. This resort does not accept bookings for partys or social gatherings. Please note that guests are required to present a valid photo ID and credit card that was used for the booking, upon check-in. Please note that any requests to make changes to bedding configurations will result in an additional fee being charged. Please note that smoking is only permissible on the grounds outside or on balconies. Please note, the apartments are not serviced daily. Requests for extra service will incur additional charges. Stays that are 7 nights and longer will receive a complimentary service on day 4 of your stay. If I'm being picky the corner window in the master room, the blinds didn't line up which meant it was very bright in the room very early. As the room faced east the blinds did not quite keep the morning sun out completely if you want a sleep in. But really was not a problem. Huge rooms, and perfect for two couples. Each couple had our own room and bathroom separated by the kitchen, dining, living area. Perfect for a weekend getaway or longer stay. Beds were very comfortable. Would come back and stay here in a heart beat!! No disabled parking. Room was spacious enough for wheelchair. The beds were comfortable, the staff were amazingly friendly and the pool was family friendly. Loved the pantries and the kitchen layout.